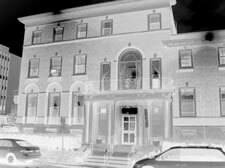 There's a claim that the Ten Broeck Mansion is "one of the most haunted public sites in Albany." 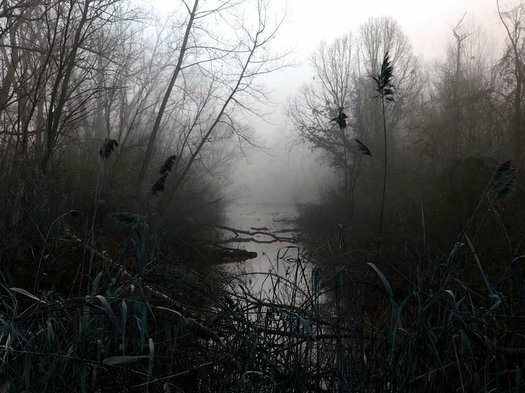 We're already into mid September and that means ghosts are migrating back to the Capital Region from their summer homes and punching back in at their regular haunts. And just in time, because it's high season for haunting. The spooky season is almost here. Halloween is just a few weeks away, and that means there are a handful of costume parties for adults that are also coming up. We've pulled together a short list below. (If there are others you think should be included, please share.) Many of these are popular and tickets do sell out. So if you're interested in going, getting tickets sooner rather than later is a good idea. "Never before, nor since, has this old Dutch city seen such Hallowe'en revelry"
Fore a few years, more than a century ago, Albany had a big, ripping Halloween carnival -- with costumes, a parade (including a Weebermobile), even a Halloween Queen*. 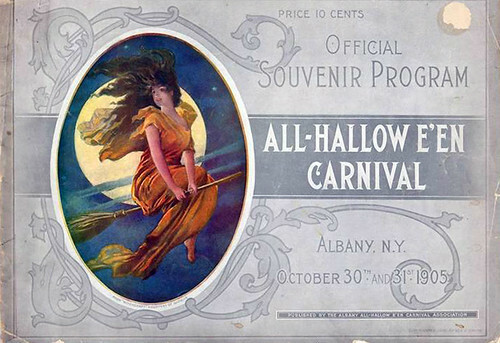 For two years early in the century, the entire city of Albany was dedicated to a mammoth celebration known as the "All Hallow E'en Carnival." But success also proved to be the Carnival's downfall. Revelry got out of hand. Store fronts were damaged and women were accosted on the streets. Several serious injuries were reported. The two-year-old tradition was regretfully abandoned. Scott then shares an excerpt from an epic poem inspired by the carnival about a magical elixir called "Van Schlichtenhorth's Real Mountain Dew" written by a David M. Kinnear. Over at the Albany Group Archive (where else? 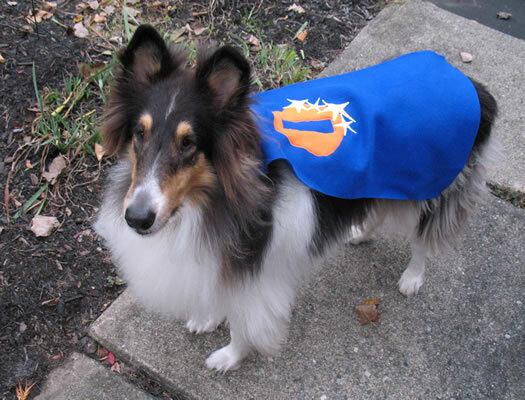 ), there's a collection of materials from these Albany Halloweens past. The program above is via the collection. Update: Here's a lot more on the carnival from the Friends of Albany History Facebook page. * Alas, she wasn't like some goth version of the Tulip Queen. We gather from Scott's account -- and from photos -- it was more like a Titania/fairy queen/Cinderella sort of thing. Though there was a story in 1905 of an Albany Halloween carnival queen later being the target of allegedly poisoned Christmas candy, perhaps out of jealousy over the attentions of the Halloween king. (Which sort of sounds like the plot of Buffy episode or something.) The story got picked up in newspapers as far as California and Texas. ** The crowd in 1905 was said to be 50,000 people. The spooky season is upon us. Don't worry if you haven't figured out your costume for Halloween yet, there's still plenty of plain-clothes fun to be had in the Capital Region leading up to the holiday. 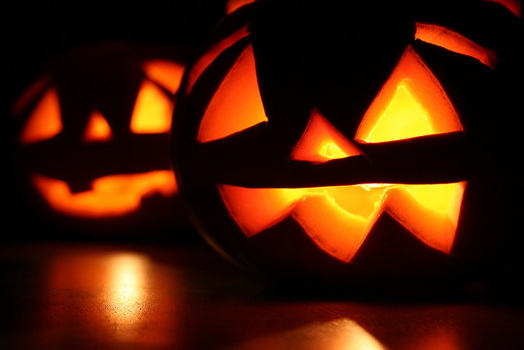 Bonus: Halloween falls on a Monday, which gives us an entire extra weekend to pack in the creepy fun. I was wondering if your readers could weigh-in with the places they think are the best neighborhoods for trick-or-treating. Our family had a lot of fun exploring a new neighborhood last year and were hoping to do the same this year. On a tangent from Sean's question: Candy and costumes get most of the attention for Halloween, but one of the great -- yet probably under appreciated -- things about the holiday is the way neighborhoods become, at least for one night, explicitly open and friendly to people we might not know. There's something heartening about that. Anyway... got a suggestion for Sean and his family? Please share! A sentence or two about why you're recommending a neighborhood is helpful. 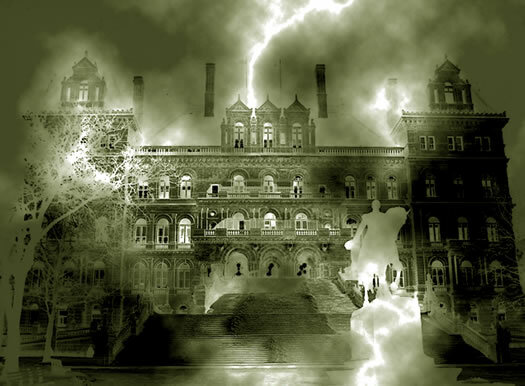 The popular Capitol Hauntings tours at the New York State Capitol start back up again next Monday, October 3 and run (weekdays) through Halloween. And registration is now open. The tours are free. Does the night watchman who died in the Capitol fire of 1911 still make his rounds? Which two United States Presidents visited the Capitol after they died? What happened to the "lost" Capitol murals and their eccentric artist? Does the secret demon carved in stone hold a Capitol curse? Come to the New York State Capitol for a special tour that explores these questions and other legends connected with this historic building. There are two tours each day, at 12:30 pm and 5:30 pm. These tours are very popular and fill up quickly -- especially the 5:30 pm slots. So if you'd like to go, grab your spots soon. Kate has some strong feelings about Halloween. After a recent conversation about popular trick-or-treat neighborhoods, we were curious about which Capital Region neighborhoods have the most trick-or-treaters. 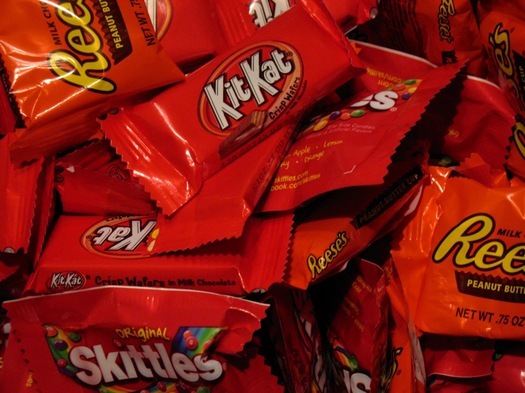 And while we can't really say without some sort of trick-or-treater census, there are numbers are which neighborhoods have the most potential trick-or-treaters. So we looked it up. Is there an orange map? You know there's an orange map. Tours start Monday, October 6 and run Monday-Friday through October 31 (except Columbus Day) at 12:30 pm and 5:30 pm. The tours are free they are very popular, especially the 5:30 pm tours. So if you're interested in going on the tour, you should sign up as soon as possible. My partner and I are wondering if you've gotten word of any hip, non 20-year-old slutty-version of Halloween costume contests and/or parties (charitable or otherwise) in the Albany area? Any help is greatly appreciated! There's usually a Halloween party at the Washington Park Lakehouse, though we haven't seen any details about that this year (if you know what's up, please share). Have a suggestion or idea for Christine? Please share! Update: Details about this year's Washington Park Lakehouse Halloween party floated our way after we posted this question. The party is October 26 from 9 pm-1 am. Tickets are $25 ahead, $50 at the door -- advance tickets available at the Pearl Street Pub and the Barrel Saloon. The party is open bar (as well as 21+) and "costumes mandatory." 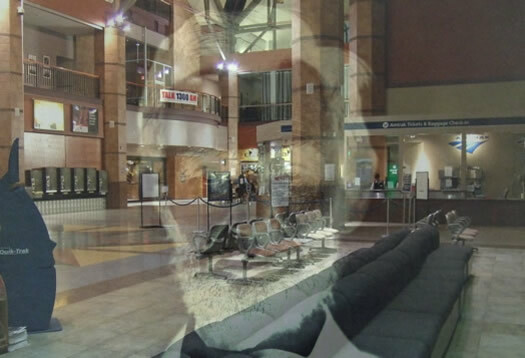 The Rensselaer Amtrak Station: to me, it was always just an air conditioned waiting room with a post office, a relatively empty (though aesthetically pleasing) open space where I could leech wifi and stare at silent Charmed reruns on the wall mounted televisions whilst waiting for a ride back to New York City. That changed when I learned this depot might be haunted by the esteemed ectoplasmic residuals of Abraham Lincoln's funeral train. You mean there's a chance my latte sipping could be interrupted by a gh-gh-ghost? The Spectrum is screening the restored, colorized, 3D-version of George Romero's 1968 classic horror film, Night of the Living Dead on Halloween night. We've got a pair of tickets to give away. And so that you'll have something to eat -- you know, aside from braaaaiiiinnns -- we're also including a $25 gift certificate to New World Bistro Bar (just down the street from The Spectrum, of course). Night of the Living Dead is about a group of people hiding from zombies. 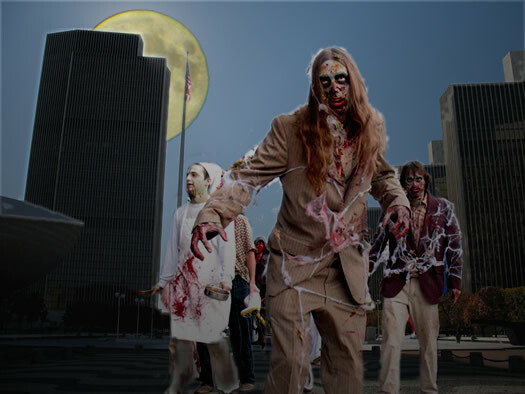 How would you survive a zombie apocalypse in the Capital Region? 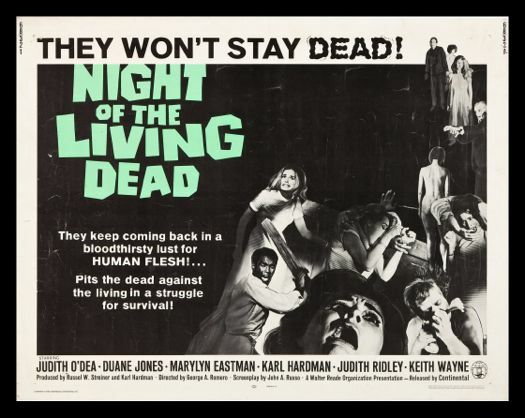 The Spectrum is showing Night of the Living Dead at 7 pm on Halloween. Tickets are $11.75, and they're available online. Important: All comments must be submitted by noon on Wednesday, October 23 24, 2012 to be entered in the drawing. You must answer the question to be part of the drawing. One entry per person, please. You must enter a valid email address (that you check regularly) with your comment. The winner will be notified via email by 5 pm on Wednesday and must respond by noon on Thursday, October 24 25. AOA is a media sponsor for the Spectrum screening. Many dark and unsettling dramas have played out behind the elegant faÃ§ades of Albany's Center Square and Hudson/Park neighborhoods. This tour will explore both the sinister deeds and the handsome architecture of a bygone era. Tim tells us of the tour, "The narrative will be 'R-rated' and include graphic material not suitable for children or the faint of heart." The tours are October 28, 29, and 30. They're from 6-7:30 pm, and start at the University Club at 141 Washington Ave. It's $15 per person. There's limited space and reservations are required: 465-0876 x10. 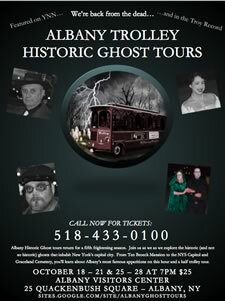 The Albany Trolleys are "back from the dead" for a fifth season of Ghost Tours in Albany to help everyone to get into the"spirit" of the Halloween season. This on/off Ghost Tour invites participants to get up-close and personal experiences at local haunts. 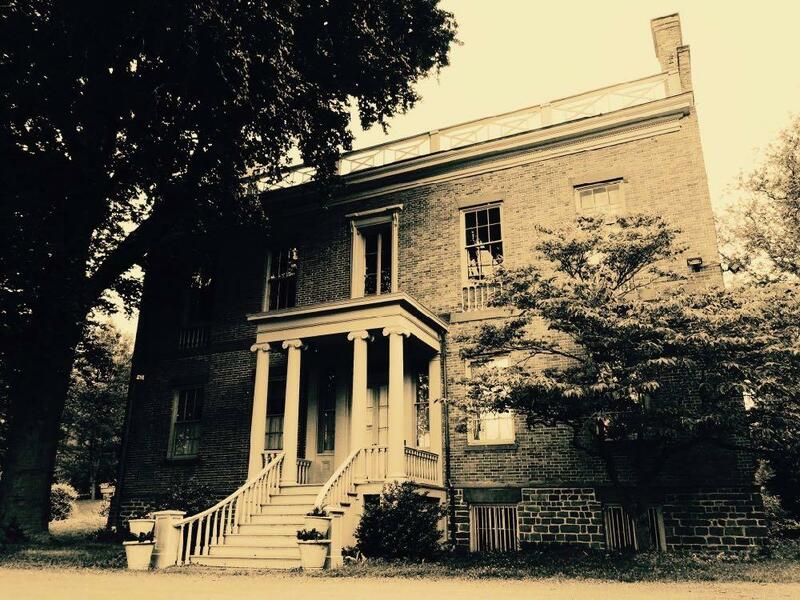 Step off onto the haunted grounds of the Ten Broeck Mansion. Stand by the State Capitol to hear the tales of the spirits that lurk there. And, by lantern light, find out about the ghost of Graceland Cemetery. Tours start October 18, and the last tour is October 28. The tours leave at 7 pm from the Albany Heritage Area Visitors Center. Tickets are $25 per person and reservations are recommended. Speaking of historical haunts... The Ten Broeck Mansion has a few Halloween-themed events coming up, including a horror movie screening (October 25) and a paranormal investigation event (with pizza) (October 27). The Albany Public Library has brought its silent film series back. During October it will be showing four Halloween-appropriate silent films at the main branch on Washington Ave -- with a live score performed by local musicians. 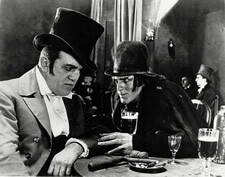 This year's slate starts with Dr. Jekyll and Mr. Hyde on October 10, and runs every Wednesday through October 31. The screenings all start at 7 pm -- and they're free. Full schedule and descriptions post jump. Murder of Cherry Hill: Speaking of the macabre, the APL has also has two talks about the Cherry Hill murder lined up. Historian Jane Ladouceur will be talking about the story surrounding the infamous 1827 murder in Albany's South End -- it involves a prominent family, love, cheating, trials, and a public hanging (if it happened today, Nancy Grace would probably self combusted with excitement). The talks are October 6 at 1 pm at the main library, and October 10 at 2 pm at the Pine Hills branch. Does the night watchman who died in the Capitol fire of 1911 still make his rounds? Which two United States Presidents visited the Capitol after they died? Tours start October 9. They're offered Monday-Friday (schedule post jump). You can register online. The tours -- especially the evening times -- tend to fill up quickly. So if you'd like to go on a tour, head over to the website and sign up sooner rather than later. And, hey, the tours are free. The ESP: wide open space to spot zombies -- but also few places to hide. From everything we've been seeing, it's basically only a matter of time before the zombie apocalypse is upon us (it would explain a lot). And, if you're anything like us, you're totally unprepared. But fear not, fair citizens. We have drawn on the wisdom of your fellow Capital Region residents to compile a quick primer on how to survive the zombie apocalypse here. We missed out on the fun of this year's Zombie Walk -- but Sebastien was there and captured a bunch of fun photos. This year's walk appeared to include a new twist or two (stilts?!?). Where to get good carving pumpkins? 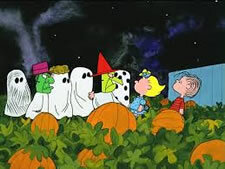 Other than apple orchards, where are some good places to get/pick pumpkins for carving ? Chad is particularly looking for pumpkin patches near Schenectady, but if you know of a good one in another part of the Capital Region, it may help someone else find the perfect pumpkin. So, anyone have thoughts on where Chad can start his 2011 jack o'lantern? 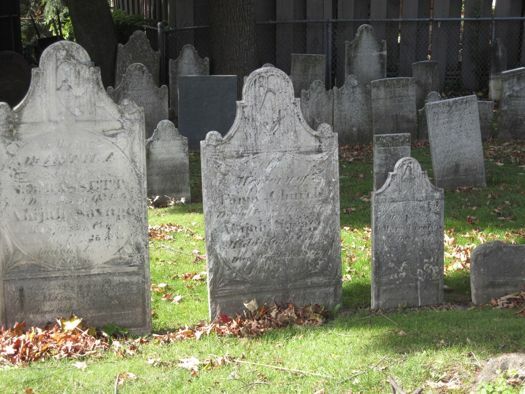 The 1st Presbyterian Cemetery, resting place for ghosts of the Stockade. We're just about a week away from Halloween. It's that time of year when everyone seems to be looking for a way to scare themselves silly (as if political campaigns aren't enough). These ghost tours of the Schenectady Stockade may not leave you quaking in your boots, but they'll certainly entertain you, freak you out a bit, and get you in the spirit of the season. A few of the undead from last year. 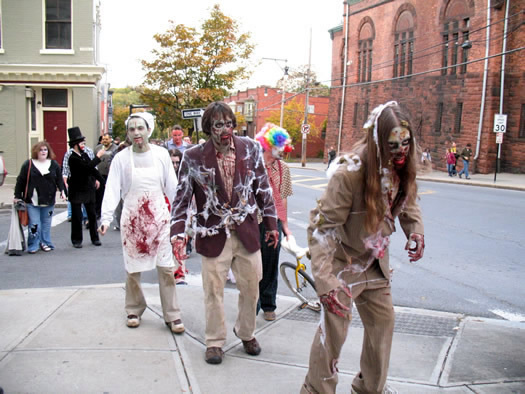 The annual Zombie Walk in Albany is this coming Saturday. (You still have time to refine your undead look.) The walk starts staging at 4 pm and will stagger forward at 6 pm. This year's walk is taking a different route from previous years. It will start at the Linda, head down Central to Robin, and loop back to the Linda. Some people go all out for this -- and while the looks can be kind of scary, the event is more goofy than anything else. It's fun to watch the undead parade -- and to see the reactions from people who just happen upon all the staggering. The Zombie Walk is part of the annual Zombie Film Feast at the Linda, which opens Friday night (all movies pass is $30, individual movies $6). After the Zombie Walk on Saturday, there's a "brain" eating competition (brains are limited, so sign up early). 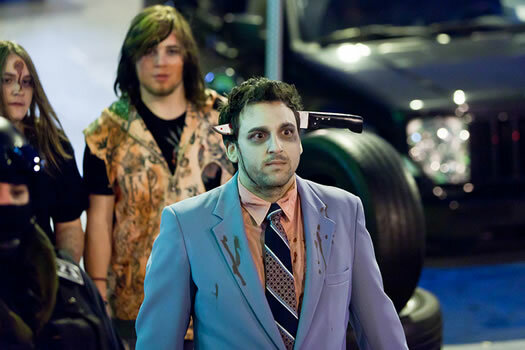 And then the Zombie Prom that night ($10). Even more ghoulish than usual. The tours are free, but you have to register for them (you can do it online this year). And the slate fills up quickly. The first tour date is October 11 (a Tuesday) and they run Monday-Friday until Halloween. Update: The Albany Trolley's ghost tours will also be back this year. They start in mid-October.